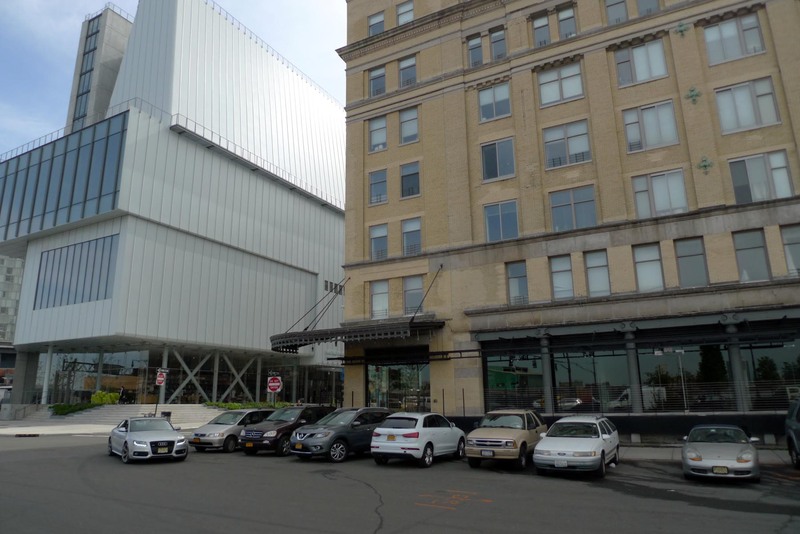 Petition LPC: No Giant Buildings on Gansevoort Street! Send an email and help Save Gansevoort Market! A developer is proposing to build two massive buildings on historic Gansevoort Street in the landmarked Meatpacking District. 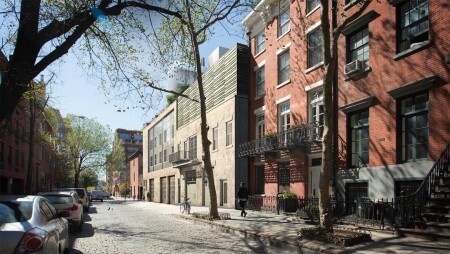 This project threatens Gansevoort’s unique character, its historic streetscape, low buildings and market-style architecture. Sign our petition and it will send an email directly to the Landmarks Preservation Commission (and please sign this even if you have already signed our old petition)! Reduce the Height of Proposed Gansevoort Buildings! 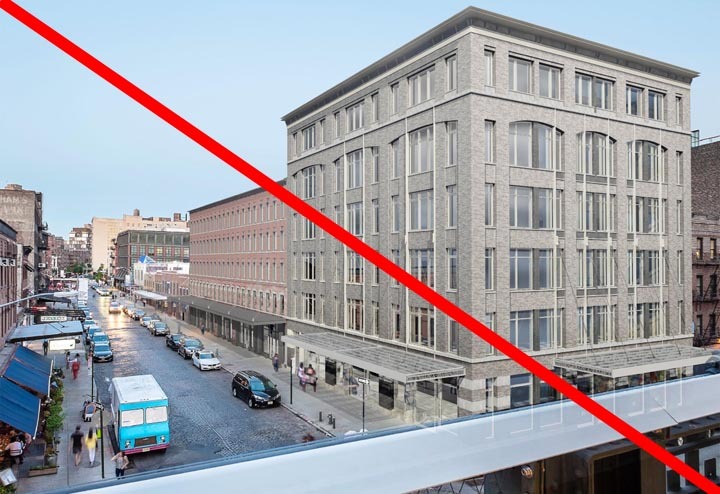 The revised plans submitted by Aurora Capital for 46-74 Gansevoort Street fail to meet the conditions that you and the other commissioners set forth during the February 9th public meeting. The Landmarks Preservation Commission should require the applicant to submit a proposal that is consistent with your explicit comments on February 9th. I strongly urge you to require that the height of the proposed buildings at 74 Gansevoort Street and 60-68 Gansevoort Street be further reduced, per your own instructions. The developer has ignored the commissioners' directive that in addition to removing the penthouse, the height of this building should be significantly lowered. The revised building (exclusive of the penthouse) is a mere 2 feet lower than the previous proposal. Furthermore, the commissioners were explicit that the height of this building should be evaluated in the context of the LOFT buildings in the district. However, the developer attempts to justify its size by referring to various large WAREHOUSE buildings in the district, which are in general considerably taller than the loft buildings specified by the commissioners. The existing loft buildings in the district average about 55 feet in height. By contrast, the developer's revised building is 82 feet tall (97 feet tall when the large array of mechanicals is included). The proposed building at 74 Gansevoort Street should be lowered to about 55 feet in height so as to be comparable with the average loft building. 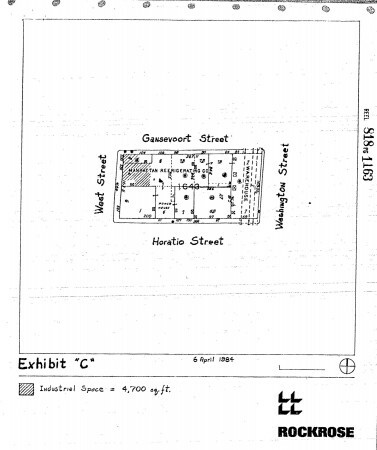 Additionally, it should be noted that 7 individual records from the Department of Buildings show that the pre-existing tenements at this site were between 50 and 55 feet tall; the developer's proposed building is thus nearly double the size of the previously existing structures. The commissioners were clear that the new building at this site should be no higher than the previously existing tenements. 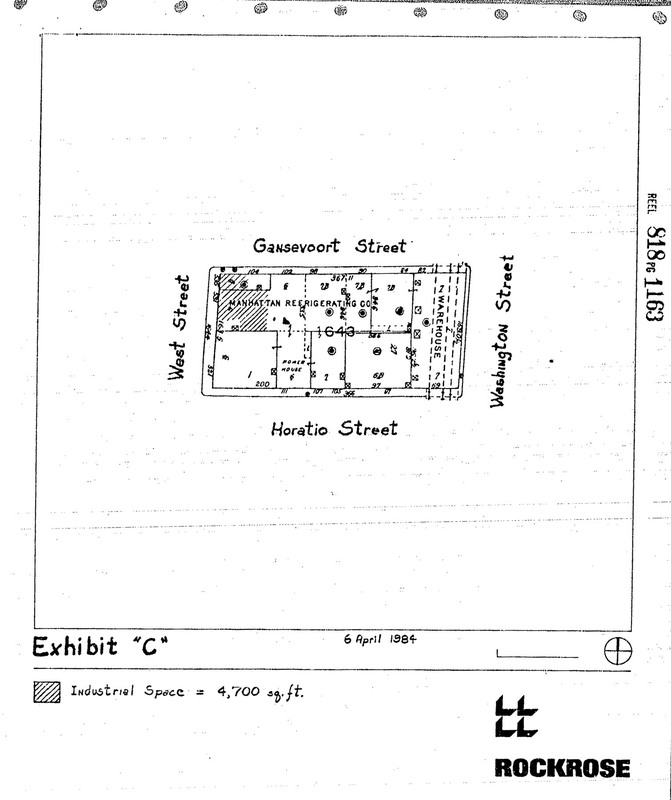 20 individual DOB records show that the tenements at this site were between 50 and 55 feet tall. However, the developer is now proposing a structure that would be 62 feet tall. 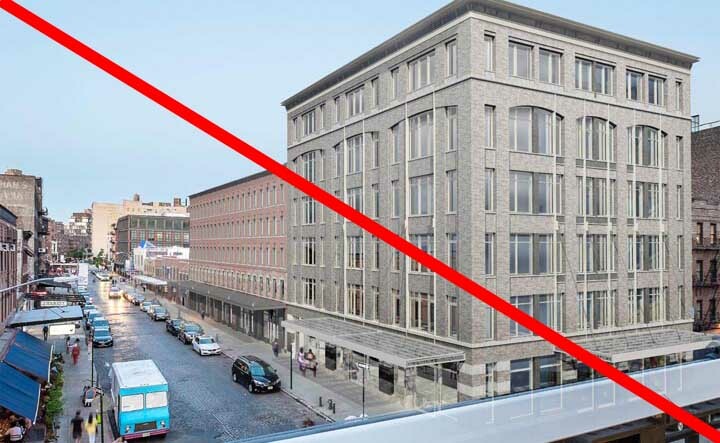 The proposed new building at 60-68 Gansevoort should be lowered to a height of no more than 50-55 feet. I am disappointed that LPC has arbitrarily reached back to an earlier stage in the district's history to justify replacing existing low-rise market buildings with massive new construction. Nonetheless, if the rationale is to return Gansevoort Street to its earlier tenement configuration, then the new buildings at 60-68 and 74 Gansevoort must conform to the size of their predecessors. Yes! I want to help save Gansevoort Street! Please keep me informed about future actions we will need to take. Share this with your friends: Tell Mayor de Blasio and LPC Chair Srinivasan to Save Gansevoort Street! • The developer has ignored the commissioners’ directive that in addition to removing the penthouse, the height of this building should be significantly lowered. The revised building (exclusive of the penthouse) is a mere 2 feet lower than the previous proposal. • Furthermore, the commissioners were explicit that the height of this building should be evaluated in the context of the LOFT buildings in the district. However, the developer attempts to justify its size by referring to various large WAREHOUSE buildings in the district, which are in general considerably taller than the loft buildings specified by the commissioners. The existing loft buildings in the district average about 55 feet in height. By contrast, the developer’s revised building is 82 feet tall (97 feet tall when the large array of mechanicals is included). The proposed building at 74 Gansevoort Street should be lowered to about 55 feet in height so as to be comparable with the average loft building. • Additionally, it should be noted that 7 individual records from the Department of Buildings show that the pre-existing tenements at this site were between 50 and 55 feet tall; the developer’s proposed building is thus nearly double the size of the previously existing structures. • The commissioners were clear that the new building at this site should be no higher than the previously existing tenements. 20 individual DOB records show that the tenements at this location were between 50 and 55 feet tall. However, the developer is now proposing a structure that would be 62 feet tall (70 feet including mechanicals). The proposed new building at 60-68 Gansevoort should be lowered to a height of no more than 50-55 feet. I am disappointed that LPC has arbitrarily reached back to an earlier stage in the district’s history to justify replacing existing low-rise market buildings with massive new construction. Nonetheless, if the rationale is to return Gansevoort Street to its earlier tenement configuration, then the new buildings at 60-68 and 74 Gansevoort must conform to the size of their predecessors. There was a great turnout at last Thursday’s Community Board 2 hearing on the proposed 90′ tall towers at 85 Jane Street! 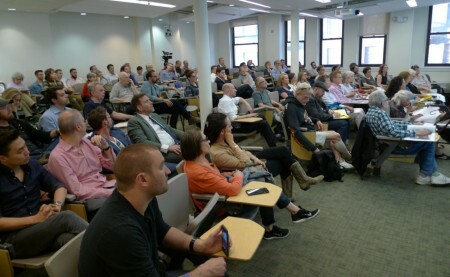 Over 70 community residents appeared in opposition to the proposed 90′ tall towers at 85 Jane Street in the Greenwich Village historic District. Not one person spoke in favor of the project. Residents pointed out that the towers are completely out of character with the Greenwich Village Historic District, and that all of the comparable buildings cited by the developer in fact are situated outside of the Historic District. The CB2 Landmarks Committee voted unanimously to oppose this application, and we expect that the full Community Board will shortly pass a strong resolution against this project. The Landmarks Preservation Commission – which will make the actual decision to approve, modify, or deny this application – will hold its hearing some time in June. It is essential that as many community residents as possible attend and speak at the LPC hearing. Please contact preserveJaneSt@gmail.com in order to receive updates on the fight against this proposal and information about the LPC hearing as soon as it is scheduled. On Thursday, May 12th, Community Board 2 held a hearing on the proposed development at the former Pro Piano site at 85 – 89 Jane Street. 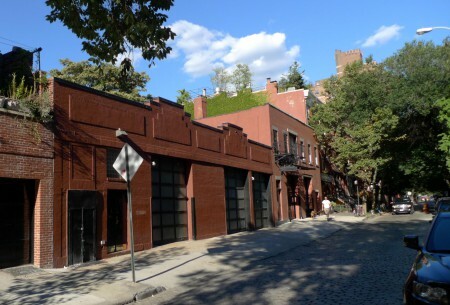 This site sits squarely within the Greenwich Village Historic District. The proposal includes a request to include two 90’ towers – one concrete, the other glass, lit at night like a beacon – to what is currently a 30’ tall building. The proposal also includes increasing the street façade of two existing low-rise structures to a uniform 41’ across the entire 110’ street frontage. The two structures date from the late 1800’s / early 1900’s and have had a variety of commercial uses over the years – ranging from horse stables to a garage to ice-cream manufacturing to a piano showroom most recently. The final structure would be a ~20,000 square foot single family home. The voice of opposition from the public was fierce, consistent and on-point. The crowd repeatedly noted that two 90’ towers had no place in the Greenwich Village Historic District. There is no precedent for such height, especially clad in glass, inside the District. The argument presented by the architect – that this design resembled smokestacks that were present on industrial structures outside of the Greenwich Village Historic District – was met with strong disapproval. Buildings outside of the Historic District are entirely irrelevant as precedents for construction within theDistrict. Others raised concerns about increasing the street façade to 41’. While this increased height would be consistent with many of the neighboring townhouses, it would have a homogenizing effect and destroy the character of jagged skyline heights that Jane Street has enjoyed for decades. Many feared it would lead to a more soulless atmosphere. After some of the more passionate contributions made by the public, the crowd erupted into applause. The Committee voted unanimously to oppose the proposal. We expect formal resolution language from CB2 next week. This is win for the community. We expect the full Landmarks Preservation Commission hearing to occur in late June. The LPC meeting is where the important decision will be made on what can be built on the site. It is ESSENTIAL that everyone opposed to this plan attend that meeting. UPDATE MAY 14th: at Wednesday’s CB2 hearing, it was revealed that in addition to illegally leasing this space for a restaurant last year, TF Cornerstone also ripped out all of the infrastructure necessary to maintain a meatpacking operation – the freezers, the rails, etc. Without this infrastructure, it would require a prohibitive capital investment for anyone to move a meatpacking business into this space. Thus, at the very time that TF Cornerstone was legally required to make “best efforts” to find a meat market tenant for this space, they in fact did the very opposite and took action that made it impossible to lease the space to a meatpacker. Anticipating that CB2 would vote to reject their application, TF Cornerstone requested that the vote be postponed for a month, presumably to give them time to attempt to negotiate with the community. Stay tuned! 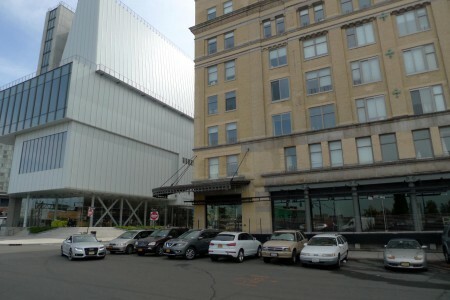 The owner of the West Coast Apartment building (the entire block bordered by Horatio, West, Gansevoort, and Washington Streets) is applying to change a restrictive declaration that currently limits uses in the northwest corner of the ground floor of that building to meatpacking and light industrial uses only. 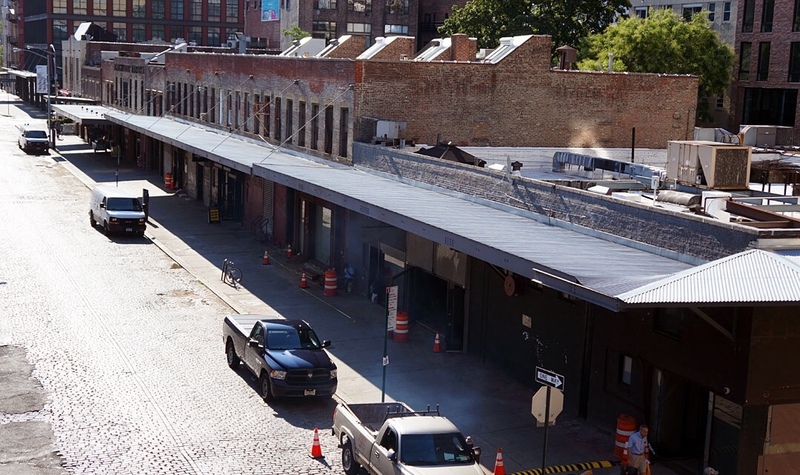 We believe that meatpacking uses are still viable in this space, which was occupied by Weischel Beef until 2012 – in fact, the meatpacking coop one-half block to the north is currently full up. However, IF the city concludes that meatpacking uses are no longer appropriate, then it’s essential that any changes to the restrictive declaration work to benefit the community as well as the property owner. Come tell Community Board 2 that if the restrictive declaration is changed, then it should allow only cultural, educational, or community uses by non-profit organizations in this space. Possibilities would include a non-profit art gallery, non-profit theater space, non-profit bookstore, non-profit day care or nursery school, or space for community organizations. The community doesn’t need more luxury retail or high-end restaurants. The community does need spaces where non-profit arts, educational, and service organizations can flourish. The property owner negotiated this restrictive declaration in return for an extremely lucrative rezoning. The owner has already made a huge profit from this deal, and there’s no reason that he should be now be entitled to get market-rate rents in this space for uses that won’t benefit the community. When Rockrose Development Corporation obtained a 1984 rezoning to allow the conversion of the old Manhattan Refrigeration building complex into the West Coast Apartments , the community negotiated several restrictive declarations in return. 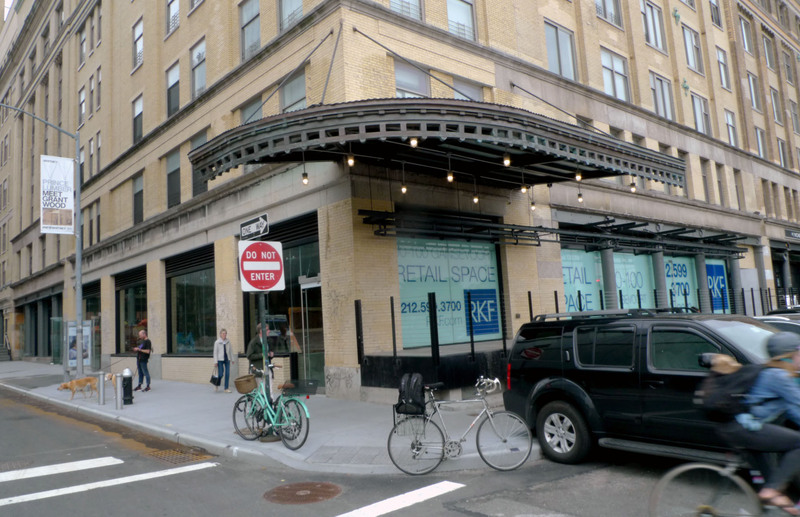 One of these declarations mandated that 4700 sq/ft of ground floor space and 3500 sq/ft of basement space at the NW corner of the building (the corner of West Street and Gansevoort Street, now across from the Whitney Museum) be reserved for meat market uses. Last year, the current owner of the building (TF Cornerstone) tried to ignore the restrictive declaration by illegally leasing this space to a restaurant; we stopped them when they tried to apply for a liquor license. The City should not reward TF Cornerstone for its illegal behavior by now granting them the ability to make unlimited profits from this space. TF Cornerstone still wants to put a giant restaurant into this space; the late-night noise and congestion that such a huge operation would bring to our community would be unacceptable. This coming Thursday, May 12th, the Community Board 2 Landmarks Committee will be hearing an application to build a huge addition on top of the existing one- and two story buildings at 85 Jane Street. 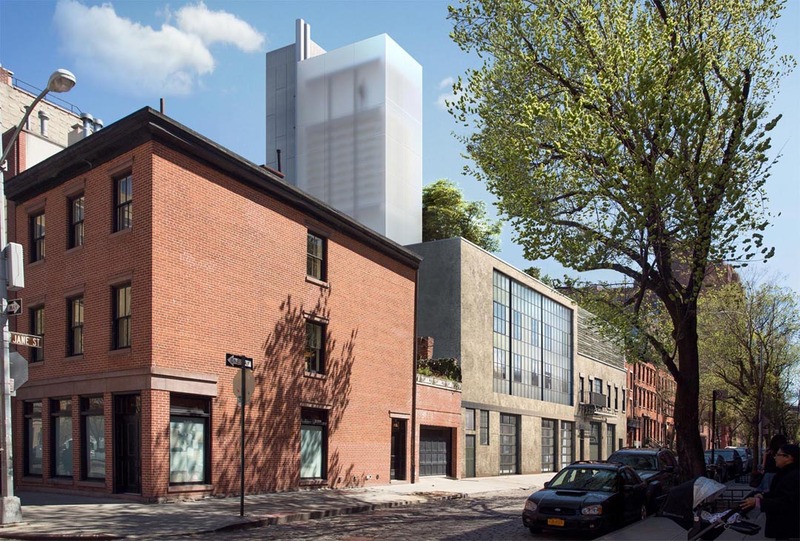 The result will be a new 80 foot tall structure (plus mechanicals) mid-block on landmarked Jane Street between Greenwich and Washington Streets in the heart of the West Village. This is the old Pro Piano location – see the photo above. UPDATE MAY 10TH: WE HAVE JUST LEARNED THAT THIS PROPOSAL ACTUALLY CALLS FOR TWO 90-FOOT-TALL SLIVER TOWERS (including mechanicals), one made of glass and the other of concrete! The proposed uniform 41-foot-high street wall running the entire length of the property is also an issue. At an invitation-only meeting with a few community residents to review the proposal, the owners refused to reveal their names and would not allow residents to take any photos of the plans. Furthermore, the owners have hired lobbyist James Capalino, a long-time community adversary and major de Blasio fundraiser, to push the city to approve the project. Capalino also represents Aurora Capital’s massive Gansevoort project. Please come to the CB2 hearing to learn more about this proposal and to tell the Community Board that new structures of this size are completely out-of-character with the Greenwich Village Historic District and should be rejected! The facebook event for the hearing is here. Please invite your friends. The Greenwich Village Society for Historic Preservation has prepared an excellent history of the two buildings currently on this site. Read it here. See you at the hearing!